These can go either way, vegetarian or meat, which is great. 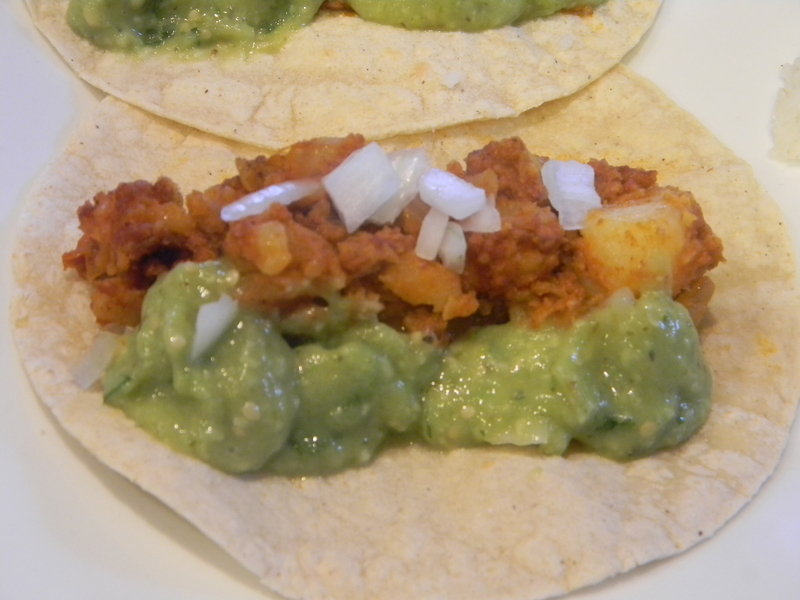 Soyrizo is a great alternative to chorizo. 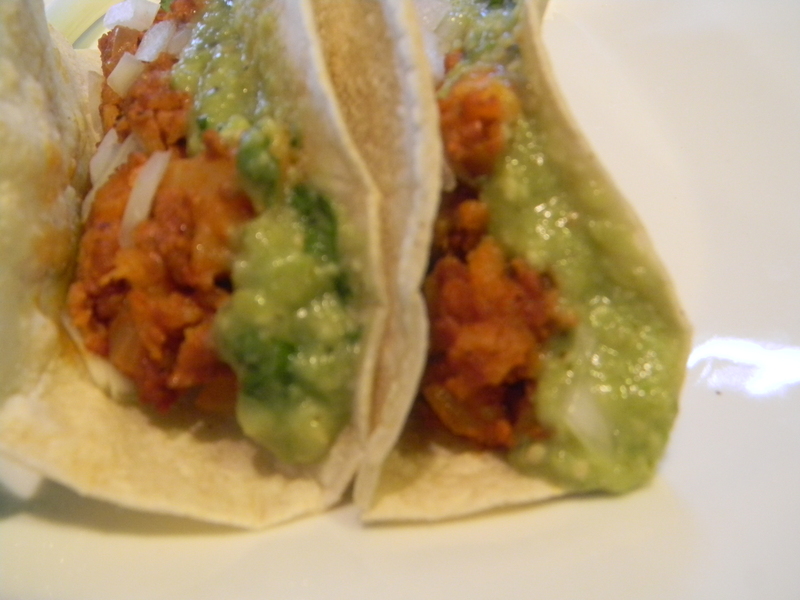 Mexican chorizo can be found in most grocery stores in the breakfast meats area. Pork chorizo is best for this dish as the beef chorizo tends to become a greasy mess for some reason. 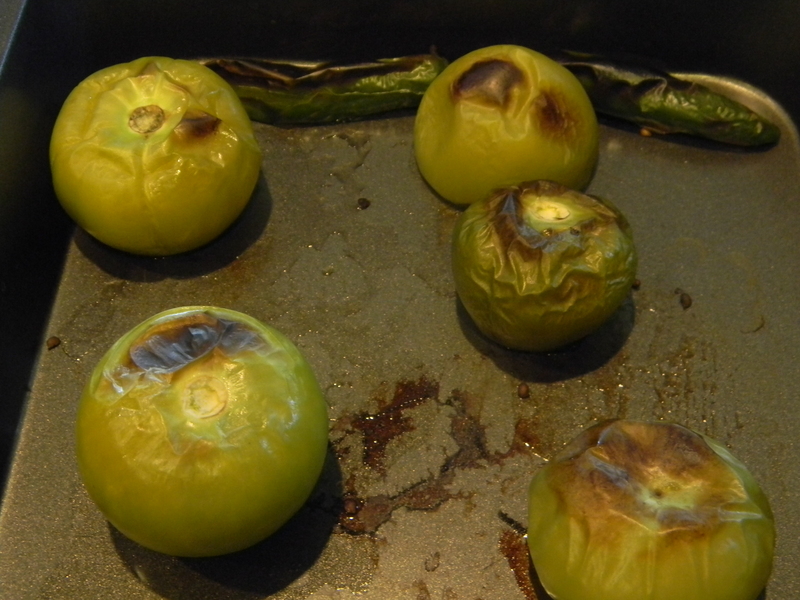 Tomatillos look like little green tomatoes and are covered in a greenish husk. They are actually not related to tomatoes, but are a part of the caper family and are sour yet slightly sweet in nature. 1.) Bring a large pot of salted water to a boil over high heat. Add diced potatoes, reduce heat, and cook for 10-12 minutes, until fork tender. Drain potatoes and set aside. 2.) Place one of the oven racks halfway down. Preheat broiler to high. 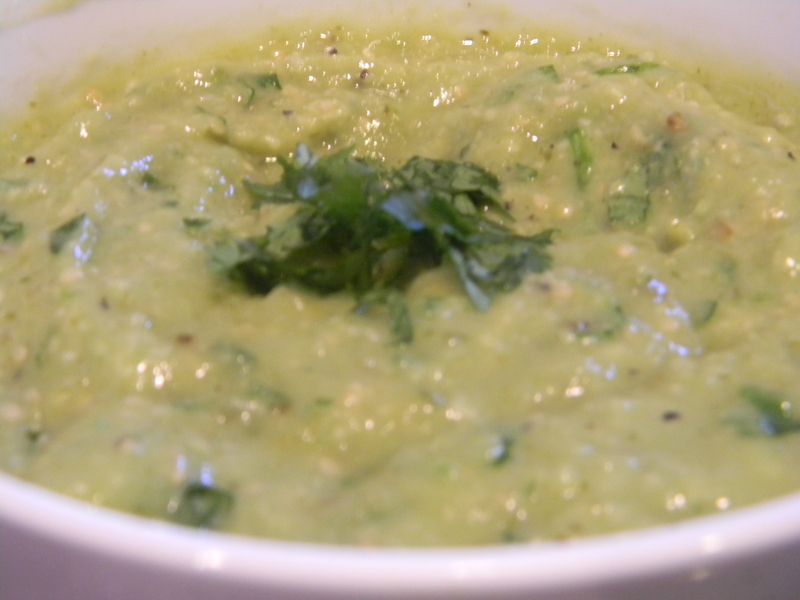 Place tomatillos, garlic, and hot peppers in a baking dish. Remove the garlic after about 3 or 4 minutes and let the peppers and tomatillos continue to cook for about 6 to 8 minutes. You want them to be softened and black in places. Remove pan from heat. 3.) 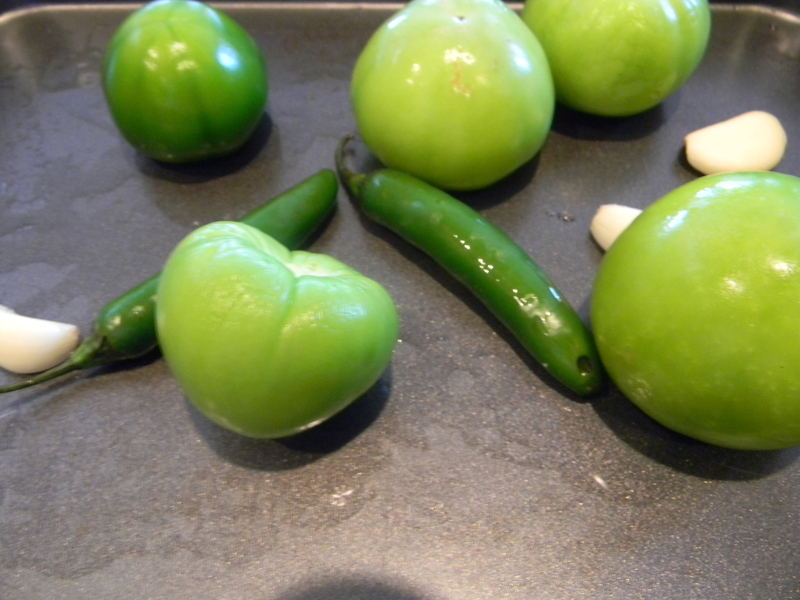 When items are cool enough to touch, core the tomatillos and cut the stems from the peppers. 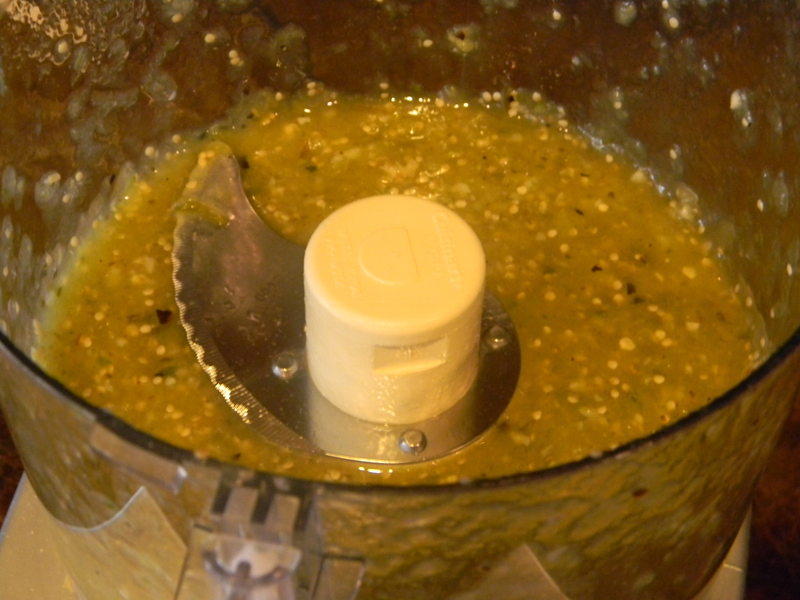 Add garlic, tomatillos and peppers to a blender or food processor and puree until well blended. Add avocado to mixture and pulse until well combined. Add cilantro and salt and pulse to combine. Pour out into a serving dish. 4.) Heat a large saute pan over medium heat and cook chorizo and onions for about 6 minutes (Note: If you are using Soyrizo, make sure to remove the outer plastic casing before adding it to the pan. If using pork chorizo with the casing, remove that as well before cooking.). Add potatoes to pan and mash with the back of a wooden spoon or with a potato masher until mixture is thoroughly combined and still fairly chunky. There isn’t much need to season the chorizo mixture with salt as the sausage itself is fairly salty. 5.) 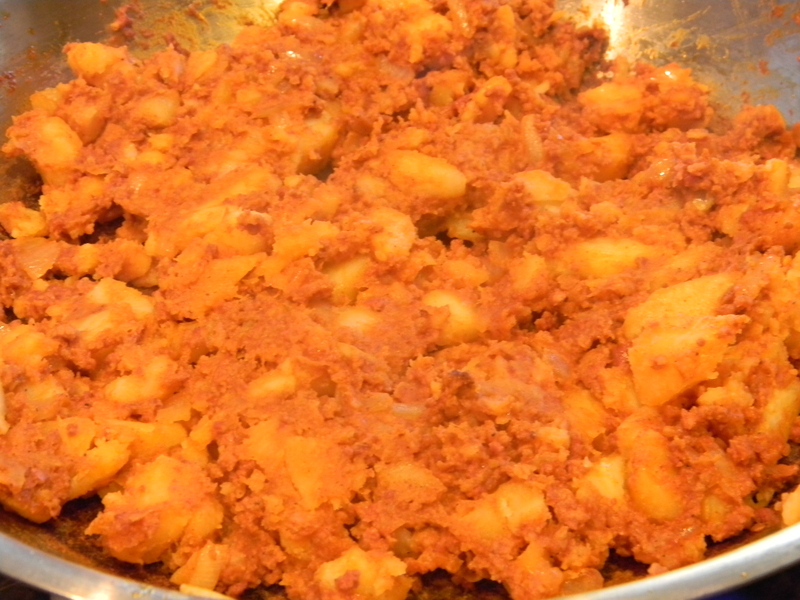 Spoon potato-chorizo filling into warmed tortillas. Spoon a bit of salsa onto each taco. 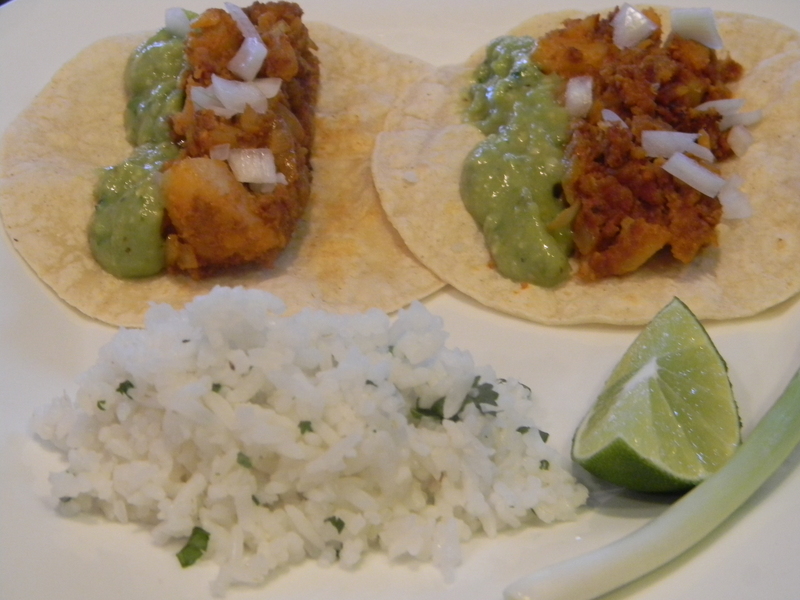 Garnish with diced white onions and chopped cilantro. 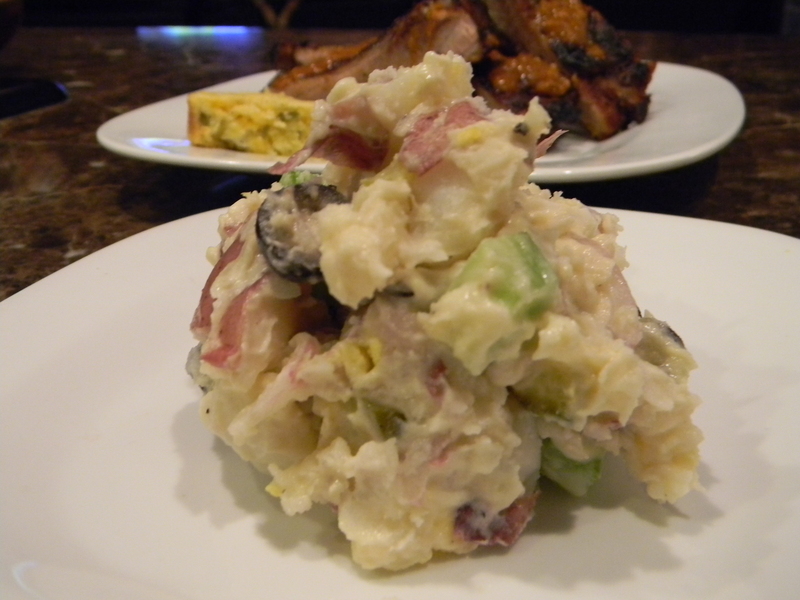 There are so many variations on potato salads! I like to keep mine simple and tasty. You can take out and add whatever you like. 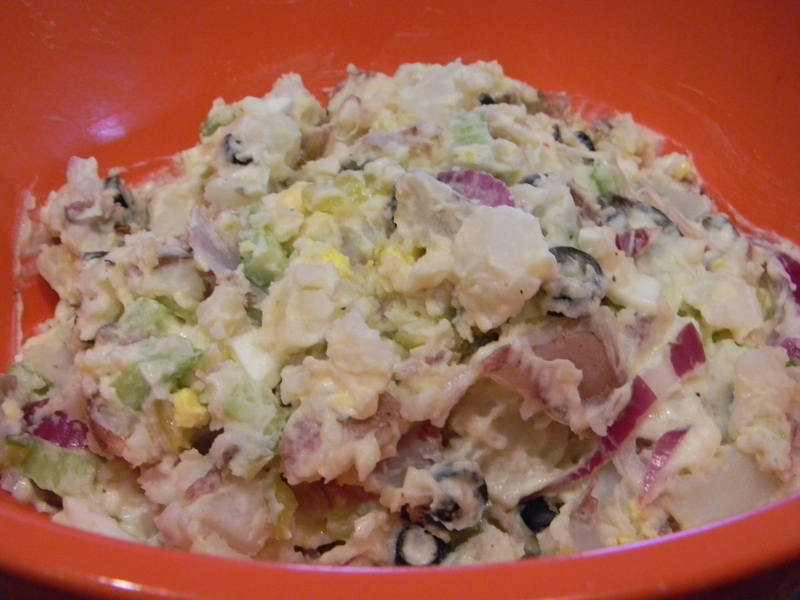 I prefer more of a mayo base, I guess this would be more of a Southern-style potato salad with the eggs and celery. I like to add parsley for a nice contrast to the red onion. The capers add another salty and tangy bite to the salad. 1.) In a large pot of boiling salted water, add potatoes and cook until fork tender, about 25 minutes. Drain and let cool. 2.) In a large bowl, combine mayonnaise, Dijon, and vinegar. Add cooled potatoes, pickles, celery, olives, eggs, salt, pepper, capers, and parsley. Mix well to combine.